The Nerdy Book Club, Mr. Colby Sharp, and I scheduled today's trifecta 246 days ago. I'm pretty sure that's a record. After you finish jumping from blog to blog, I think you'll understand why we knew Orangutanka needed the #SharpSchu trifecta treatment. Happy exploring! Oh my goodness! 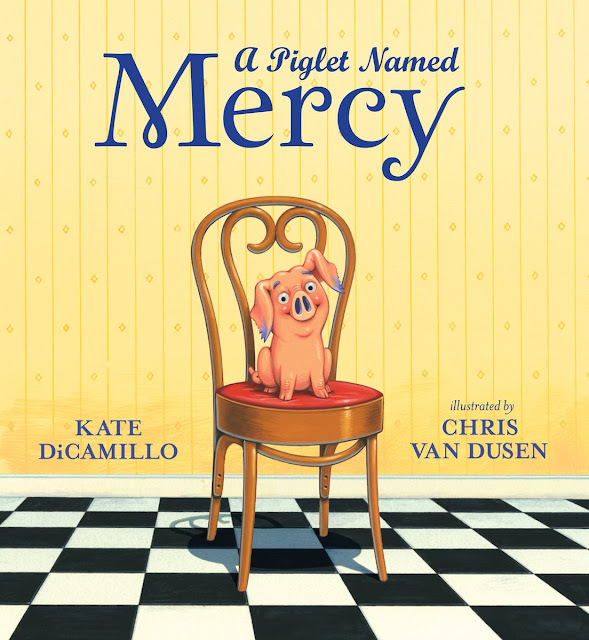 Isn't it an adorable book trailer? I cannot wait to play it for all my classes this week. Well done, Renée Kurilla! 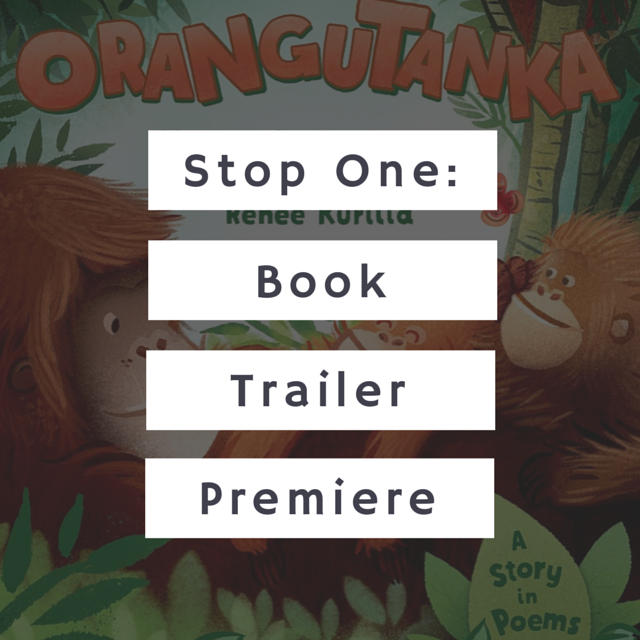 "Orangutanka is the story of a family of orangutans, told entirely in tanka poems. It was inspired by a visit to a wildlife refuge in Borneo, where I was fascinated by a grandma and granddaughter who climbed down from the trees to people-watch. I was especially impressed by the young female orangutan’s acrobatics, which resembled a dance. The illustrations by Renee Kurilla are incredibly PERFECT! I really hope Orangutanka is fun for children, but I also hope the scientific note at the end helps adults become aware of the need to preserve their rain forest habitat." Newbery Honor author Margarita Engle. Click here to read the full interview. "It didn’t take me long to discover that one of the best, albeit sometimes most challenging parts of being an illustrator is the research. Regardless of working on a fiction or nonfiction project, studying your subject is imperative. If you’re lucky, during the process you might actually end up learning a thing or two about yourself." -Renée Kurilla | Click here to read the full essay. 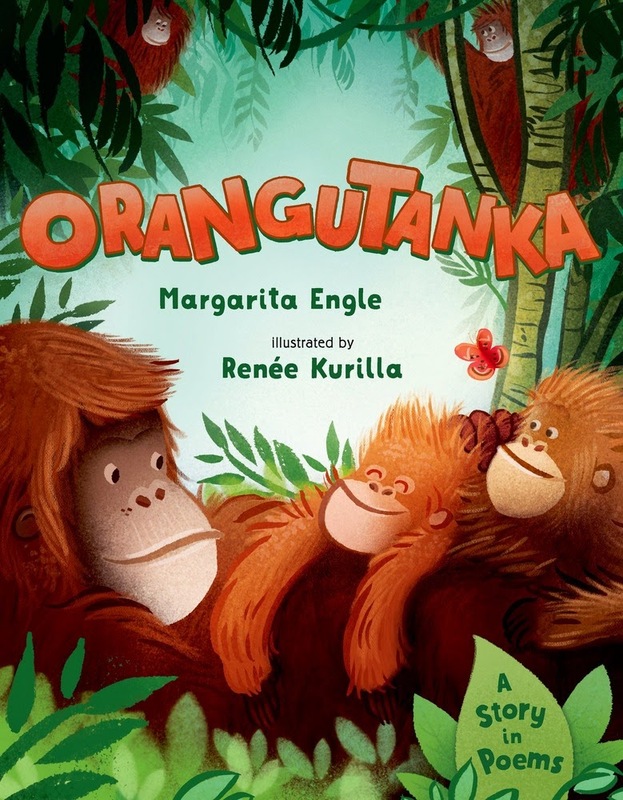 Borrow Orangutanka from your school or public library. Whenever possible, please support independent bookshops. That trailer- oh my, how sweet! Loving this post and the wonderful interviews you linked to as well. Thank you. 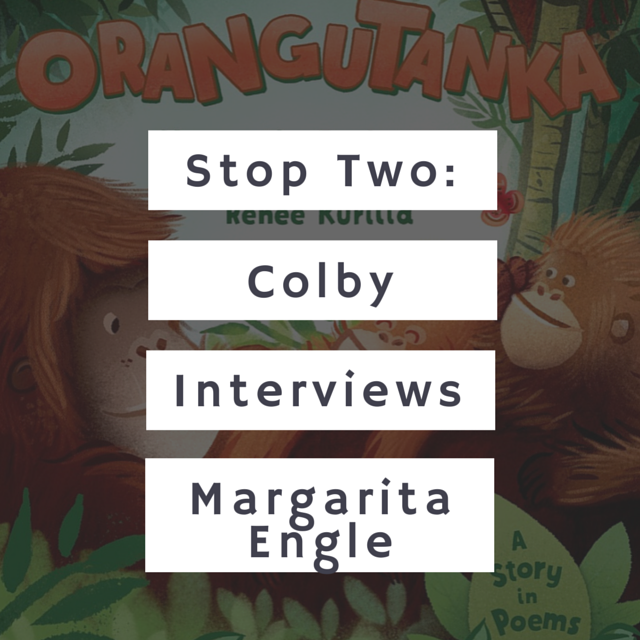 Here's a link to another (my own) interview with Margarita this month: http://michellehbarnes.blogspot.com/2015/03/spotlight-on-margarita-engle-dmc.html and an opportunity to win a copy of ORANGUTANKA.